For the past week I have been researching the use of Nuclear Power throughout the world and have come across a huge debate, I have created an info graphic to outline each sides argument as to why we should or shouldn’t use Nuclear Power. Nuclear Power: The Great Debate by Grant is licensed under a Creative Commons Attribution-ShareAlike 4.0 International License. Planned Parenthood InfographicWhat do I stand for? I think this is a very good piece. You do a very good job of showing both sides of the debate and present a compelling issue for the reader to contemplate. Overall I think this is a very well put together piece with an excellent info graphic to present the information. Based on the information that you have provided do you think that we should use nuclear power? do you believe that it has the potential to become the earths primary source of energy? Grant, I think you did a really great job clearly listing out the pros and cons of nuclear power. What is your personal opinion on the matter? Do the cons outweigh the pros? 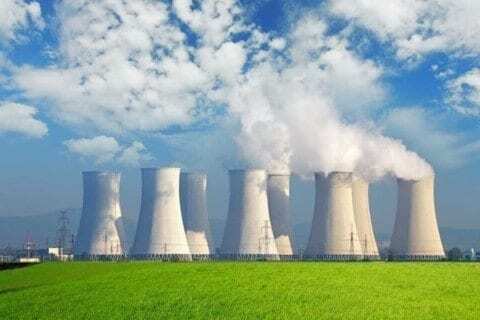 I think that nuclear power is still a bit risky to use as a widespread source with the technology we have now, but as advancements are made, there will definitely be more potential for it in the energy world. This is a very well done piece that you put together. You added lots of information about nuclear power rather than your opinion. Very well done. Grant, I think you did a nice job on your infographic on nuclear power. I like how you explained the good and the bad of having nuclear power. Overall, nice job and keep up the good work! What is your view on the use of nuclear power? Should we or should we not use nuclear power? Thank you so much for your work! It’s really important to think about both sides of an issue before forming an opinion, and you did a really nice job showcasing both thoughts on the issue. I also really appreciate the fact that you included a picture on how we actually get nuclear power because most people have no idea and if you’re going to talk about an issue you should know your stuff.